Bring industry perspective, provide input to the continuous evaluation of objectives and assessment of outcomes of the BSME and BSMSE curricula, and suggest changes for implementation, as needed. Assist the school in generating financial or in-kind resources for various strategic priorities from their companies or personal resources. 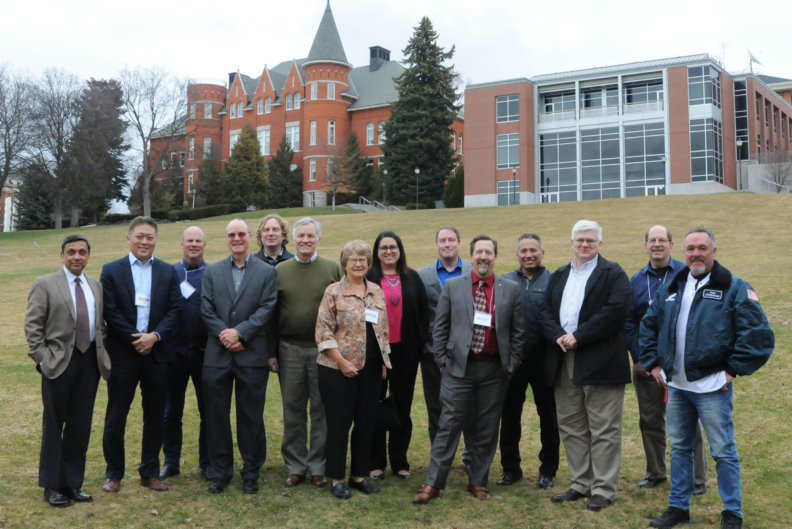 Act as partners in the education process by maintaining active contact with the school during the academic year, and by visiting the Pullman campus at least twice a year (during the Advisory Board meetings). Promote the school at their company through the hiring of interns and full-time personnel and participation in WSU career fairs. Champion the school’s cause with university administrators and the state of Washington with regard to budgets, research programs, and faculty hiring. Vitalize the education process through participation in seminars, guest lectures, industry sabbaticals, collaborative research, and serving on student thesis committees. For access, please contact director@mme.wsu.edu. Membership on the Advisory Board is a 3-year term, renewable on mutual agreement for additional period(s). SAC members are apppointed for 2-year terms and serve as trusted advisors to the MME Director on strategies and operations of the school, while also serving the functions of EAB members.